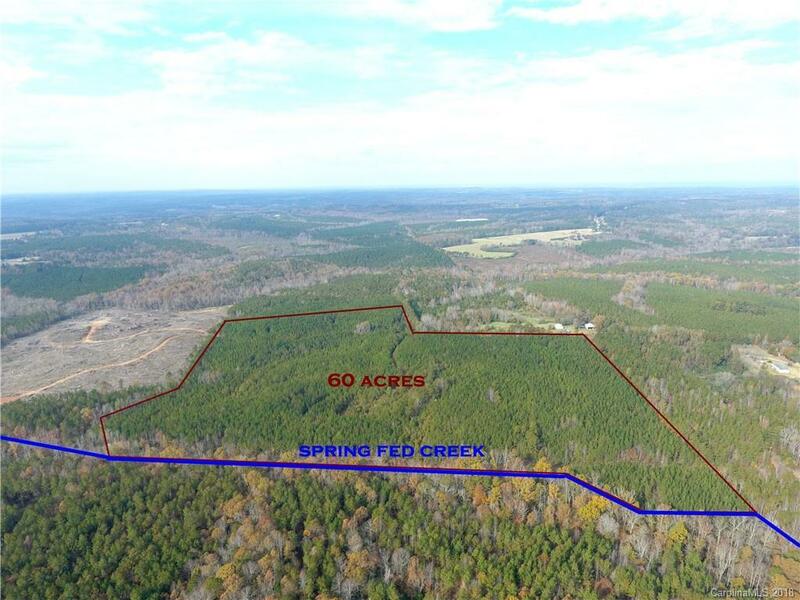 60 Acre hunters paradise!!! Gate, Established Roads and Food Plots. Spring Fed Creek with Mature Hardwood buffer area. Approximately 15 year old Loblolly Pine ready to be thinned. This is a turn key Hunting Escape / Timber Investment! Adjoining 60.54 Acres also Available.